Results from the centre’s basic research will be made available for all. This will enable sectors in which IT security is a key consideration to keep abreast of the state of the art, and allow the latest findings to feed into industrial applications, university teaching and training programmes aimed at the next generation of IT security specialists. Trainings and joint projects will also promote the transfer of knowledge from scientific research to industry. The outstanding research performance of Graz University of Technology in the field of IT security and the good exchange between business, politics and science in Styria were decisive for Graz as a location. The partnership between SGS and TU Graz will create new jobs, thereby enhancing Styria’s reputation as a business location, and burnish the province’s credentials as a leading research region. “The groundbreaking collaboration between SGS and TU Graz is testimony to the tremendous work taking place in Styria. The interplay between business and science will open up new opportunities for talented Styrians, and bring out the best in them, as well as creating long-term jobs,” commented Styrian Governor Hermann Schützenhöfer, who together with Barbara Eibinger-Miedl, Styrian Minister for business and research, thanked Frankie Ng and Harald Kainz for launching the initiative. “Effective protection against cybercrime is hugely significant for businesses in the digital age. TU Graz has produced outstanding research in this field in recent years, which grabbed the headlines around the world. SGS’ investment underscores TU Graz’s outstanding achievements and highlights Styria’s position as a province specialised in innovation and research. 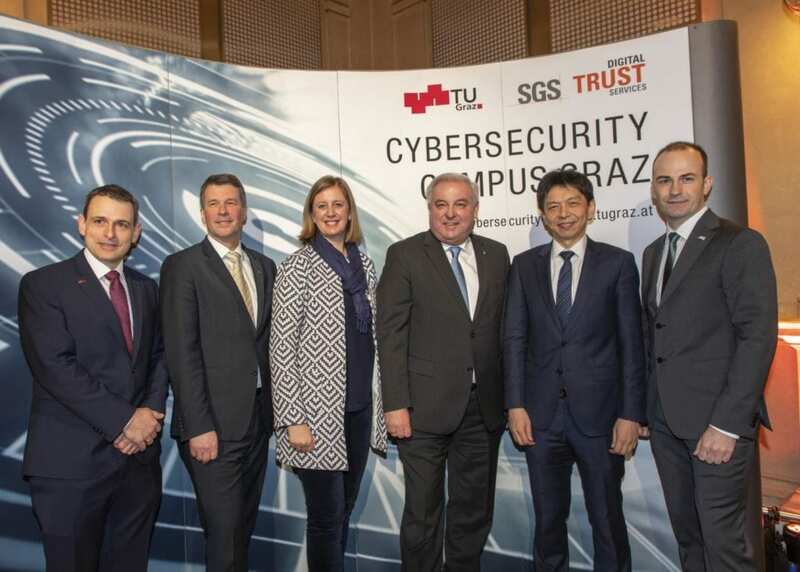 In future, Cybersecurity Campus Graz will be in a position to develop products and systems that are crucial to worldwide internet security,” Minister Eibinger-Miedl said. ?